Ressha Sentai ToQger Returns: Super ToQ 7gou of Dreams is another beautiful chapter in the story of those awesome rainbow children. We first meet the five ToQgers in 2025 where they are now adults and far removed from their Imagination-filled childhood. That is, until the Shadow Line unexpectedly shows up out of nowhere. A seemingly familiar enemy, Archduke Hei, appears, but the ToQgers are no longer able to henshin. They decide to run to safety, only to fall into a time vortex taking them all the way back to 2017. It is the day before their elementary school graduation. The ToQgers have a feeling something important happens on this day and it isn’t until they watch their younger selves try to fight Archduke Hei that they realize what has happened. And the sight of seeing their younger selves disappear over the train tracks (really, entering the Resshas which they are no longer able to see) reminds them that they have indeed grown up. As the story continues from there, we see the familiar themes that made the series so creatively successful. The film speaks to the young and the young at heart. And in a sense, the film also speaks to the toku fandom, particularly of Super Sentai. When the big ToQgers regain their Imagination, they do it after reflecting on what it means to be adults. That it is never too late to remember a forgotten Imagination as long as one always remembers their childhood. Remembering one’s past and looking back at your roots is probably one of the absolute best themes any child (and adult) could learn from a television show. The idea of being scared to grow up, depicted through Tank Top Shadow’s wanting to protect Akira from becoming a human (thus, being able to grow old and die) is so delicately handled here in a perfect way. There is no need to be afraid to grow up and you should be able to make as many memories as you can. Archduke Hei almost ends up as a mere plot device to the real goal of the film. That appears especially true as the end credits of the film begin just as the ToQgers enter their final battle against Hei. That battle isn’t the climax of the film. 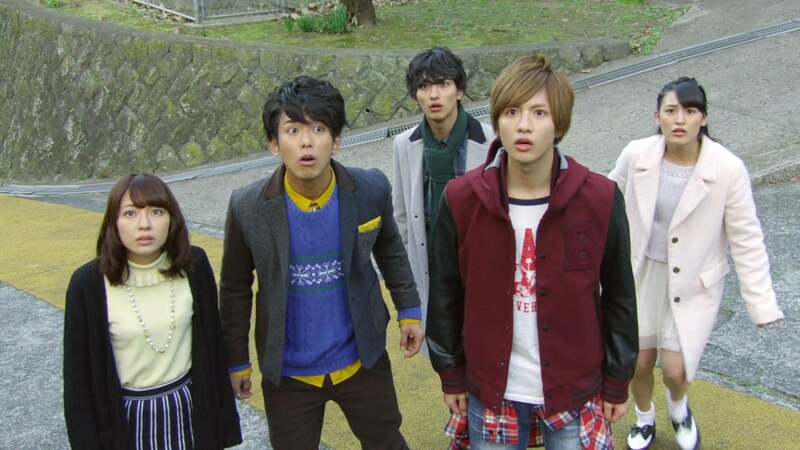 The climax is the ToQgers’ realization of that they have now remembered what they have lost or seemingly slip away. And that even as adults, their Imagination can be as strong as ever. 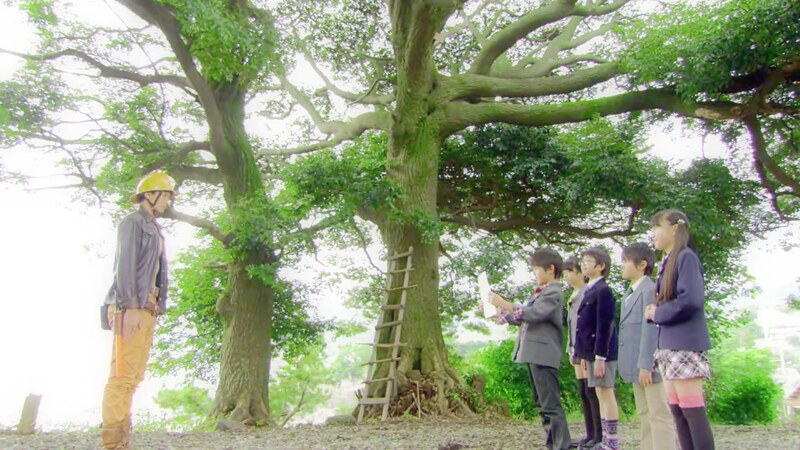 The poignant nostalgia in the overall story and in each of the little moments between the ToQgers highlight that ultimate lesson. And those are themes that are in addition to the familiar and excellent focus on friendship and family that were at the heart of the series and for the ToQgers themselves. The film also reminds what a great cast was assembled for the series. Both the adults and the kids turned out effective, many times amazing performances that allowed the viewer to get so emotionally invested in these characters. That was true for the series and it is especially true here in this film as we get to see them all interact with one another. Right’s two actors, Shison Jun and Mabuchi Homare, delivered especially great performances here. One of the best scenes in the film is of young Right being upset that his older self is so easily resigned to the idea that one naturally loses their Imagination as they grow older. 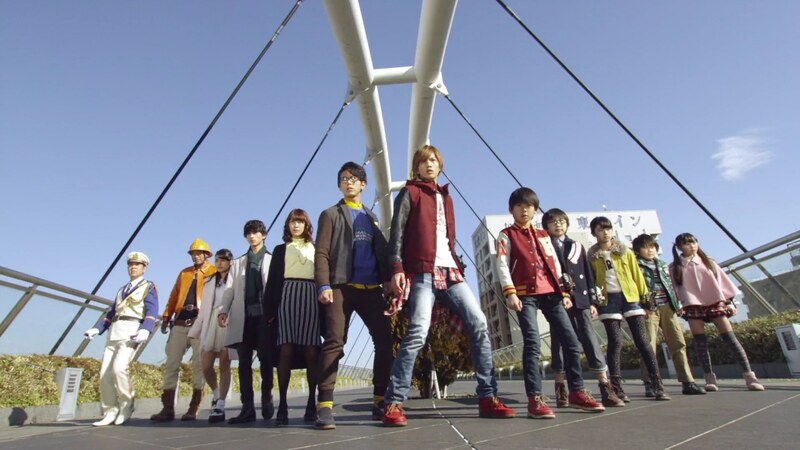 That is the final catalyst to the ultimate realization of the big ToQgers. 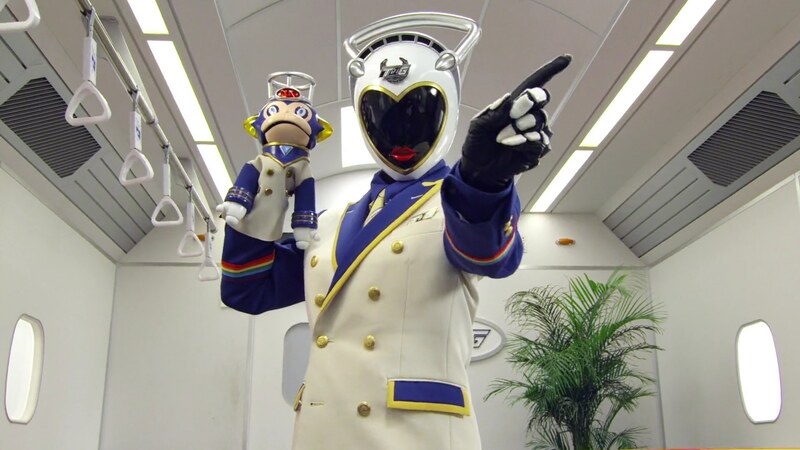 Elsewhere, it was awesome to see Conductor as ToQ-7gou. And of course Wagon getting promoted to Conductor as well. (With Ticket still his non-puppet-self.) 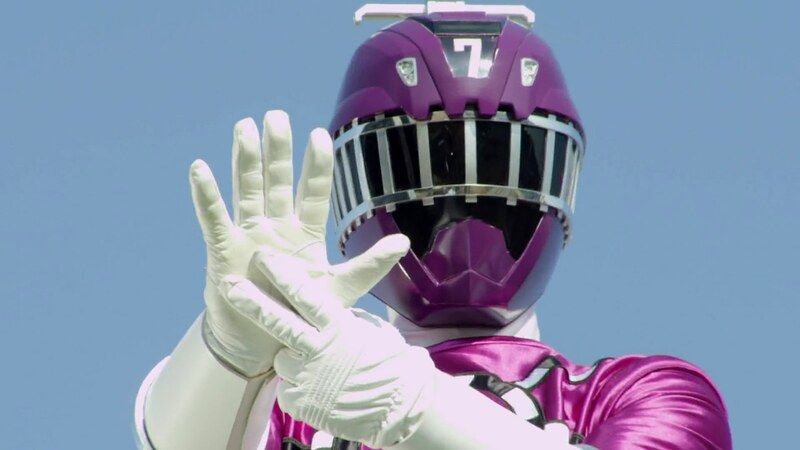 I think most fans of the series knew a purple ToQger was going to pop up sooner or later. (Last color of the rainbow!) My bet was always on either Conductor or Wagon (or Ticket) as the series made a point to establish how much of a family they all became. How can one forget that final scene of the ToQgers waving goodbye as the Resshas sped off down the tracks with Ticket yelling “Thank you!” back to them. Also the small revelation that Akira had always been watching over them, even if they couldn’t see him anymore was just one of the many moments that sent me curling up in a ball crying my eyes out. Seeing everyone, and I mean every single one of them, fighting side-by-side, the big ToQgers with the little ToQgers, was just a fanboy and fangirl’s dream come true. Those secenes were amazingly and perfectly executed. And of course the excellent soundtrack was again put to good use. One of the best qualities of Ressha Sentai ToQger is its realism and sincerity. There is no question that the series had a lot of heart. And that is true of this film. The friendship and bond that they all formed, as this film has shown, are unbreakable. Ressha Sentai ToQger Returns is realistic and relatable, regardless of age or culture. And it reminds us all that you can never be too old to have a strong Imagination.